Six more injured in the NTPC boiler blast in Uttar Pradesh were on Friday rushed to Delhi and admitted to AIIMS. NEW DELHI: Six more injured in the NTPC boiler blast in Uttar Pradesh were on Friday rushed to the national capital and admitted to the All India Institute of Medical Sciences (AIIMS). All of them have suffered extreme facial burns injuries, said hospital authorities. The injured were brought to the AIIMS round 8.30 p.m, after being flown to Delhi in an air bus. A green corridor was created from the IGI Airport to the AIIMS Trauma Centre considering the seriousness of the patients' condition. "All the six patients have been been admitted to the Burns Department of AIIMS Trauma Centre. One patient has 60 per cent burns while others have 25-50 per cent. Most of them have facial burn injuries," said a senior doctor at hospital. Earlier, nine injured were brought to the national capital, who were admitted to the Burns ICU of the Safdarjung Hospital. Among those admitted to the Safdarjung Hospital, two were brought on Thursday evening while seven others were shifted to the hospital around 2.00 a.m on Friday. "Nine injured at the NTPC boiler blast site (in Rae Bareli) have been brought to Safdarjung Hospital. While five of them have 50-60 per cent burn injuries, remaining have 25-40 per cent burn injuries," newly-appointed Medical Superintendent of the hospital Rajendra Sharma had said. "We have all the arrangements in place and in case more patients are to be brought, we can accommodate them. However, other hospitals have also been equipped with arrangements to treat the injured from boiler blast site," he told IANS. Minister of State for Health and Family Welfare Anupriya Patel on Thursday late night visited Safdarjung Hospital "to oversee and ensure that patients from the blast got the best medical care and treatment". She said that facilities and doctors from the Ram Manohar Lohia Hospital could also be used, if necessary. 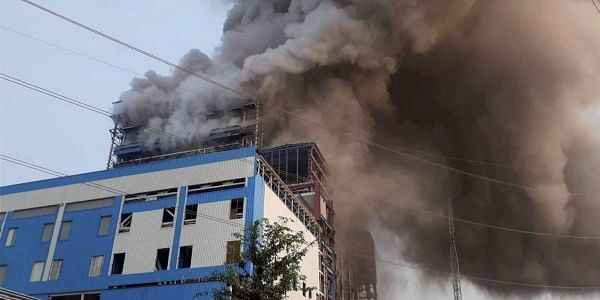 The death toll in the blast in the National Thermal Power Corporation (NTPC)'s 500mw unit in Rae Bareli rose to 30 on Thursday. The government has ordered a magisterial probe into the tragedy. The massive explosion took place in state-owned power plant's Unchahar town unit on the Lucknow-Allahabad Highway on Tuesday. Many were trapped when the boiler burst and a huge ball of dust rose, making the rescue operations difficult.